Three simple insights, one huge impact. At citizenme, our purpose is to make the Internet work for the people who use it. To put us in control of our own personal data and, importantly, to get value from it. The idea of personal data ‘agency’ has been around for a while. However, until recently, it hasn’t been possible to realise. Now, with the arrival of smartphones, the ‘cloud’ and a growing awareness of how our personal data is used and abused, that’s changing. Over the past 18 month’s our team has been on a journey of discovery: How we can create a profitable business that puts the everyday people of the Internet – citizens – back in control. 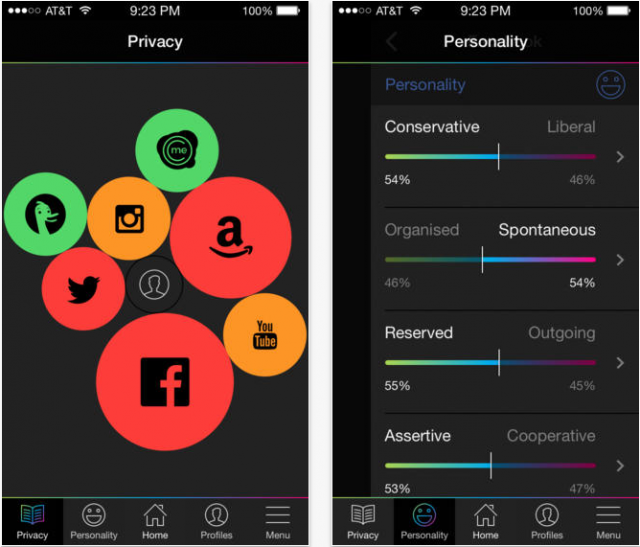 Privacy: showing you which popular apps on your phone were rated as either good, average or bad for their Terms of Service. Deep links to change app settings. Notifications when the terms were changed. 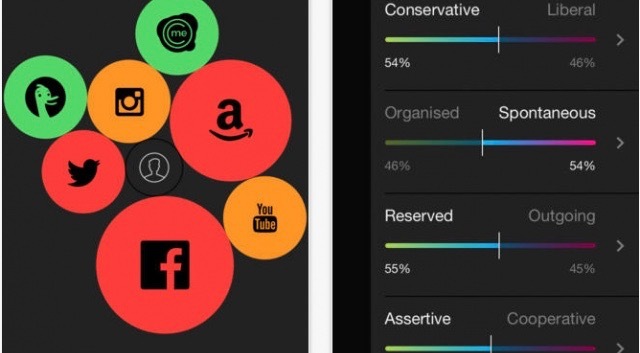 Personality: providing visibility of your digital personality traits. This was done in partnership with The University of Cambridge Psychometrics Centre by analysing facebook page likes. We expected that the most effective business model would be to enable people to tap into the advertising ecosystem: anonymously sharing their personality insights, brand loyalties and future purchase intent – if they chose to. With no advertising but some great press, 14,000 people downloaded the iOS app in the first few weeks. Of the people who tapped beyond the opening screen, 45% of people spent time in the Privacy section whilst 95% spent time looking at their personality information. The Privacy section was popular for those who visited it. There were 10,000 votes on good and bad Terms of Service. However, visits tailed off over the following months. Discussion with citizens showed us that for most people, the ToS ratings are valuable when presented as part of a personal data transaction, or when making a purchase decision. But standalone updates lacked context. The Personality section was very popular with everyone, with many requests to see a greater number and variety of personal insights provided. We also received many suggestions from people about the ways that they would like to exchange and trade their insights. 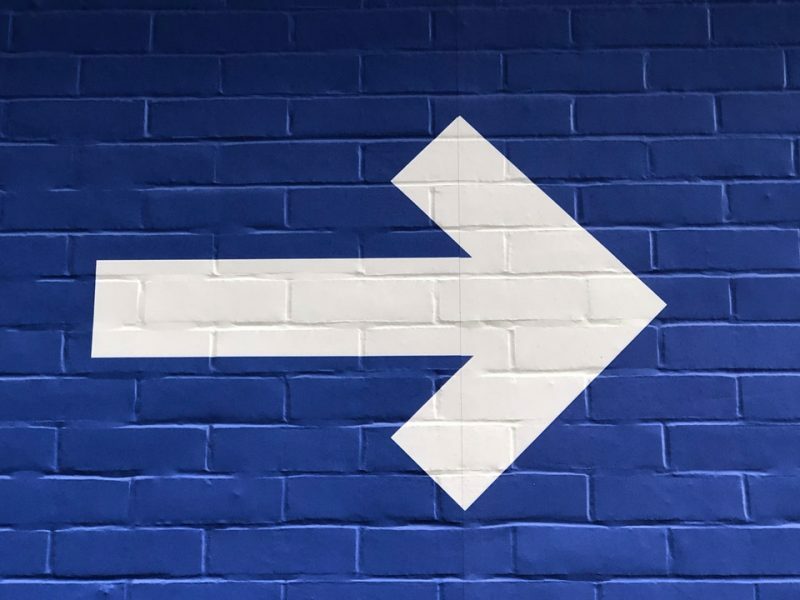 It became clear to us that to create a sustainable service for all Internet users, tapping into the digital advertising marketplace wasn’t the right place to start. We need to put citizens at the center of the digital marketing cycle and start at the beginning. 1) For all of us, our own personal info is very cool. What our data reveals to us is highly interesting and valuable to us – and others too. But only if we are liberated to be in control of it. 2) Digital Rights and Terms of Service are ‘part of the deal’. They need to be visible, understandable and independent when any exchange of personal data, insight or intent is made. They need to be available to all, no matter which country we live in or what service we use. They need their own independent solution. 3) To make this ‘better Internet’ work, we need services that represent us and not just the brands and advertisers that buy our data. A service that has our backs. A service that earns money in a transparent way. A service that taps into the right personal data markets, at the right time, on our behalf. Our team has spent the last year analysing, testing and creating answers to these insights from you. A central component of this innovation process is ongoing qualitative and quantitative research. As a first step, the new citizenme app will be on the app stores in soft launch mode this week. We’ll then do some final testing and tweaks before we announce the new citizenme personal insights platform in June. This is just the start; we still have much to do, but we’re on the right path. Most importantly, thank you to those of you who have provided us with such invaluable feedback. It has helped us all take this step toward our digital liberty. StJohn founded CitizenMe with the aim to take on the biggest challenge in the Information Age: helping digital citizens gain control of their digital identity. 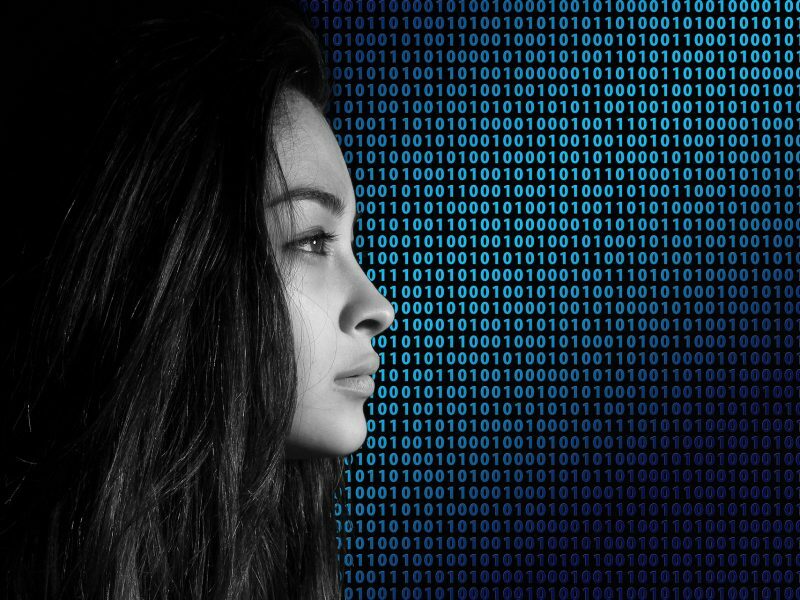 Personal data has meaning and value to everyone, but there is an absence of digital tools to help people realise its value. With CitizenMe, StJohn aims to fix that. With with a depth of experience digitising and mobilising businesses, StJohn aims for positive change in the personal information economy. Oh… and he loves liquorice. 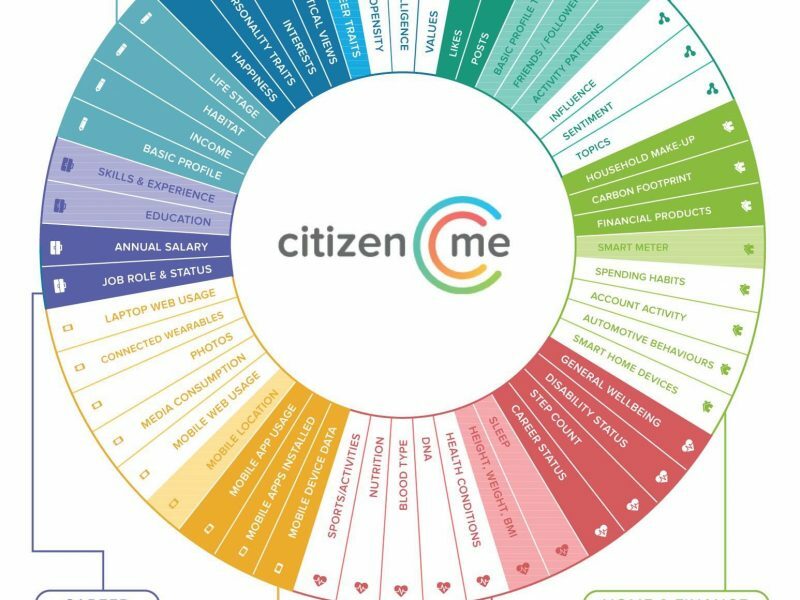 Citizenme : What’s New in August? Is Facebook past its “Use By” Date? This is NOT a blog about GDPR…this is a blog about YOU.